Eyelid surgery, or blepharoplasty, can restore the appearance of tired eyes by correcting sagging skin around the upper and lower eyelids. As we age, our skin begins to lose elasticity and firmness, leading to droopiness of the upper eyelids. Additionally, bulging and puffiness below the eyes may occur, resulting in under-eye “bags” that can contribute to a worn, older-looking appearance. Blepharoplasty can surgically remove and re-drape loose skin to restore a rested, youthful expression. 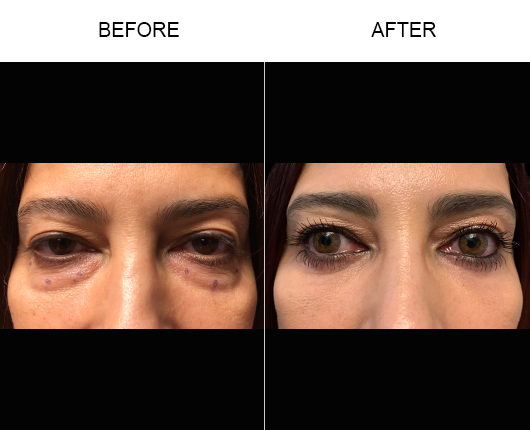 Our Orlando eyelid surgeons at Bassin Center For Plastic Surgery perform upper and lower blepharoplasty for patients looking to achieve long-lasting facial rejuvenation results. Upper eyelid surgery (also known as upper blepharoplasty) can target excess or loose skin above the eyelids. Your eyelid surgeon can remove and reposition sagging skin to accentuate the contours of your upper eyelids. 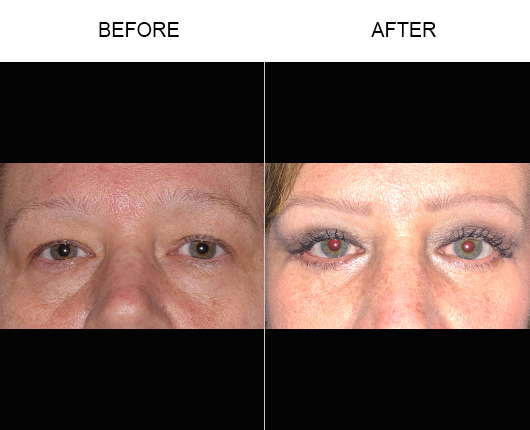 By correcting excess skin, upper blepharoplasty can restore a youthful-looking appearance. 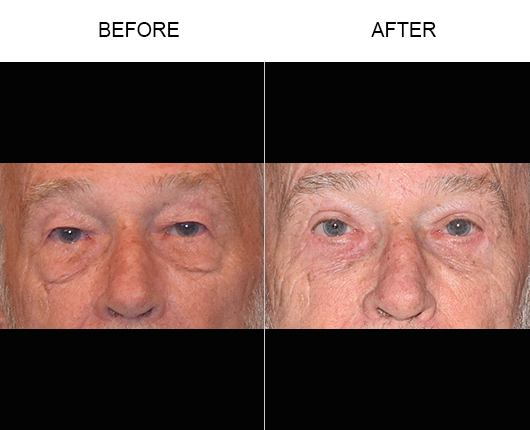 Local or general anesthesia is utilized during upper eyelid surgery. Upper blepharoplasty takes about 1 hour to complete and patients can typically expect mild swelling and bruising to occur for about a week following treatment. Upper eyelid surgery can achieve long-lasting improvements to your facial profile. Learn more about upper eyelid surgery by clicking on the button below. 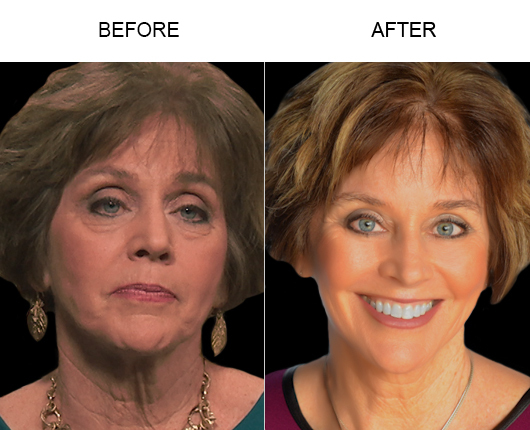 Lower eyelid surgery can achieve long-lasting improvements to your expression. Often referred to as lower blepharoplasty, this procedure targets drooping bags under the eyes, as well as excess skin of the lower eyelids. 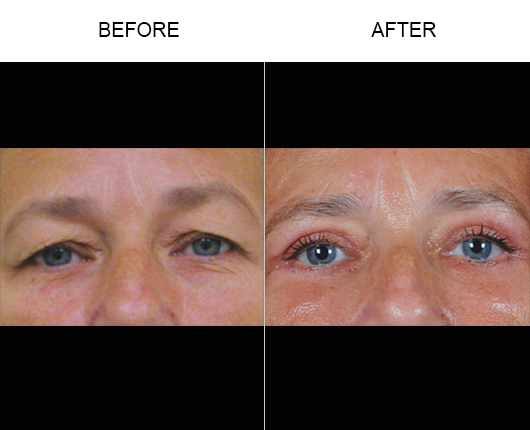 Lower eyelid surgery can remove and reposition sagging skin to correct puffiness and under-eye bags. Lower eyelid surgery requires local or general anesthesia and can be completed in approximately 1 hour. Patients can expect mild bruising and swelling following lower blepharoplasty; these effects should subside within 4-6 days. 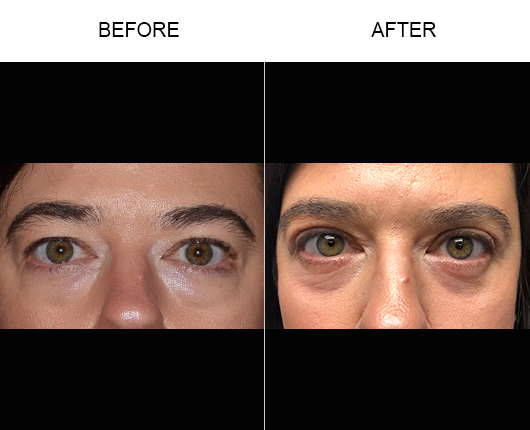 Lower eyelid surgery is designed to achieve long-term results. Click on the button below to learn more about lower eyelid surgery. HOW DO I GET STARTED WITH EYELID SURGERY? Dr. Roger Bassin, his doctors, and staff at Bassin Center For Plastic Surgery would be happy to help you set up a private consultation to discuss eyelid surgery. You can give us a call at 877.333.3223 or schedule an appointment online for a consultation at one of our Florida locations: Melbourne, Orlando, Metro West Orlando, Tampa, The Villages®.